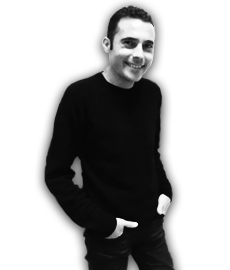 Mihalis Germanos is a journalist specialising in radio production, digital media and communications. He was born in Athens and lives in London. His first show on London Greek Radio was broadcast in June 1994. He has been part of the LGR crew for over two decades and has been on air for over 7.000 hours. His show Zito To Elliniko Tragoudi, one of the longest running shows in the station’s history, is broadcast every Sunday from 17:00 to 19:00. On his shows, Mihalis regularly hosts interviews with some of the most prominent greek artists in Greece and Cyprus. He also regularly presents features on classic and contemporary greek composers, lyricists and poets. As part of his work at London Greek Radio, Mihalis has also presented Ena Filaraki Mesa Sti Nihta and Paraxenos Kosmos. Both shows stayed on air for almost 20 years. Parallel to his radio work, Mihalis is an established digital communications professional in the fields of web development and design, content management, event promotions and media campaigns. Mihalis also has a keen interest in human rights, the environment, animal welfare and helping vulnerable people.